Make sure your Magnaflux magnetic bench works with every part you need to inspect with this range of equipment adapters. From large, heavy parts to small pieces like bolts, screws and pins, Magnaflux equipment adapters help you get more out of your magnetic bench by helping you make it work for a wide variety of parts. 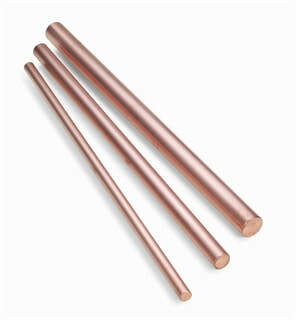 These solid copper rods (copper type 110) provide circular magnetization of hollow parts. Three sizes are available in the central conductor kit: one each 0.5 in / 1.3 cm, 0.7 in / 1.9 cm and 1 in / 2.5 cm. Steady Rests are used to support and stabilize long or heavy parts such as crankshafts during the inspection process. 1857: Trail-Mounted Roller Type Steady Rest. Mounts and moves on rails to accommodate various part lengths with adjustable height. Fits all units except A-915 and small MAG Series units. Weight capacity up to 1,500lbs (630kg). 605750: Headstock-Mounted Roller Type Steady Rest. Mounts on headstock to support one end of the part (Use rail-mounted steady rest #1857 to support other end). Speeds up part loading as coil may be retracted past headstock. Fits all units except A-915 and small MAG Series units. 621658: Tailstock Steady Rest. Designed to mount on the Tailstock and to work with either Headstock or Rail Steady Rests. Permits remote testing of parts that are too heavy or too large for processing on unit. 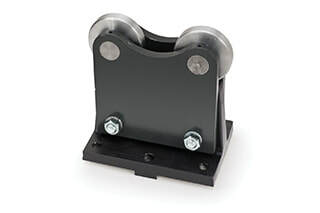 When clamped between head and tailstock, the block supplies magnetizing current to remote prods or clamps through flexible cable (cable not included, see cables and connectors). Magnaflux adapters permit the use of standard wet horizontal test units for inspection of small parts such as bolts, screws, pins, etc. 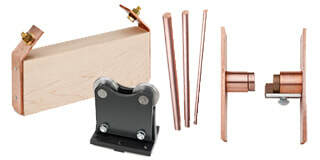 Mounted directly to either the head (PN 28470) or tail stock (PN 28471) the solid copper adaptors maintain adequate clearance to proper clamping action. 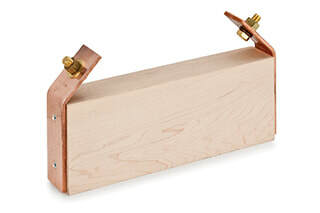 28470: Headstock Adaptor made of solid copper, mounts to headstock. 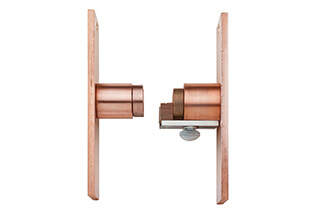 28471: Tailstock Adaptor made of solid copper, mounts to tailstock.